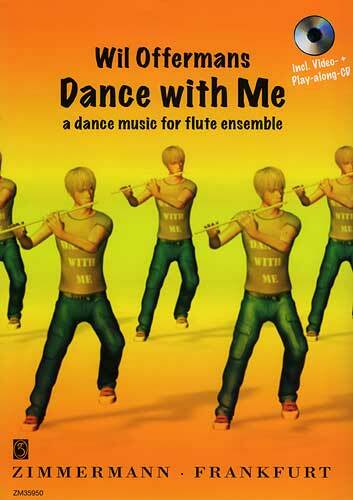 Includes a Bonus-CD with all works recorded. From the book introduction text: "...Flute Update is the flute booklet of our serial New Music for Beginner Lessons, developed in collaboration with the University of Music and Performing Arts in Vienna. 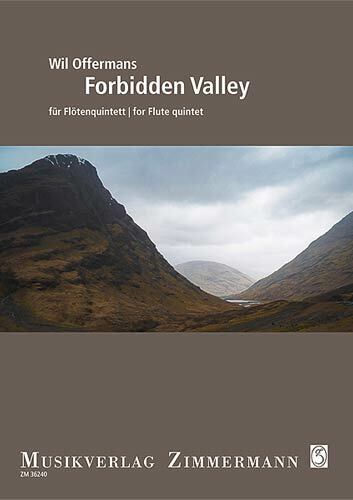 In this edition, well-known flutists and composers are presenting 15 bracing and varied new compositions covering all aspects of flute playing for the first tuition years. 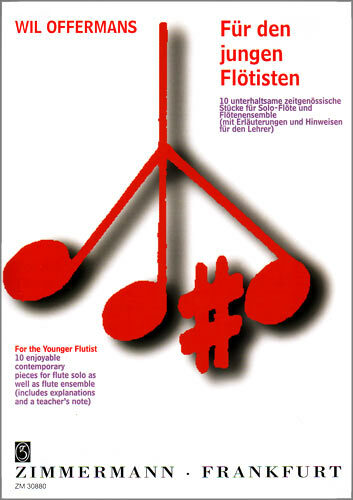 The stylistic features include new sounds, jazzy rhythms, new playing techniques and percussive elements…". 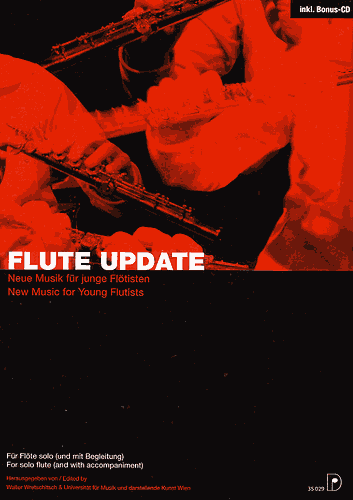 subtitle: New Music for Young Flutists for flute solo and in various combinations. 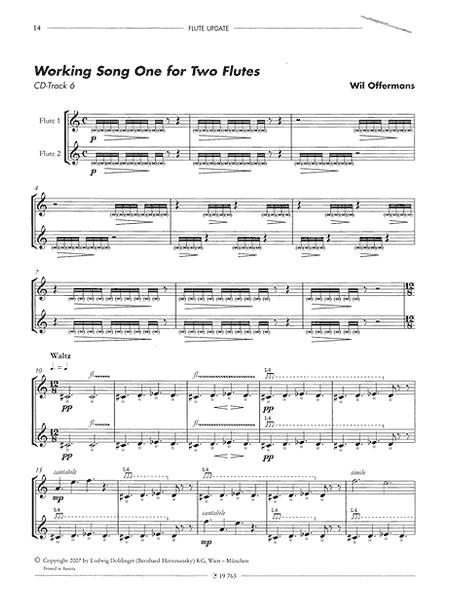 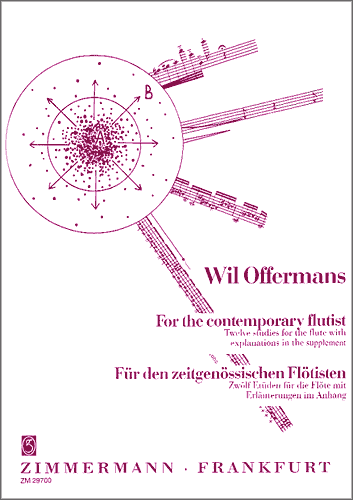 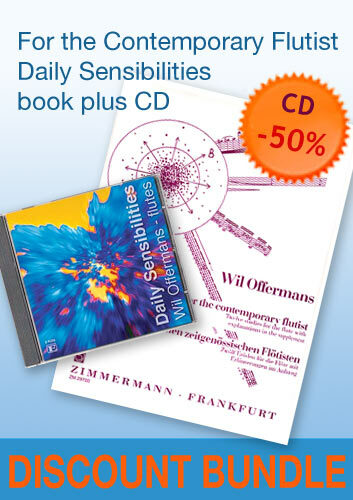 composer: Wil Offermans and 9 other composers. 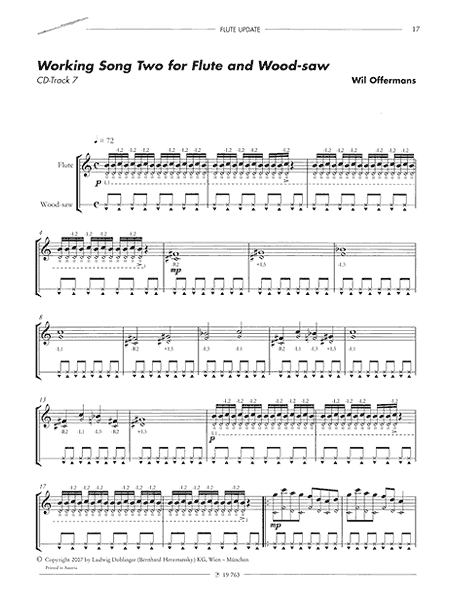 instruments: 1 or 2 flutes, wood-saw, piano, etc.